2015 is looking every bit as promising for new artists and new albums as last year. Stuart Ralston chalks up his first review of the new year with his thoughts on the impressive debut from Canadian four-piece Viet Cong. Opening with the curiously titled Newspaper Spoons, the debut album by Viet Cong is bursting out my speakers and is a neat collection of songs mixing a variety of styles, from the MBV influenced March of Progress to the Talking Heads-esq of Bunker Buster. March of Progress begins with a heavily pounding drum beat and sounds like an instrumental as it is almost three minutes before the vocals kick in. 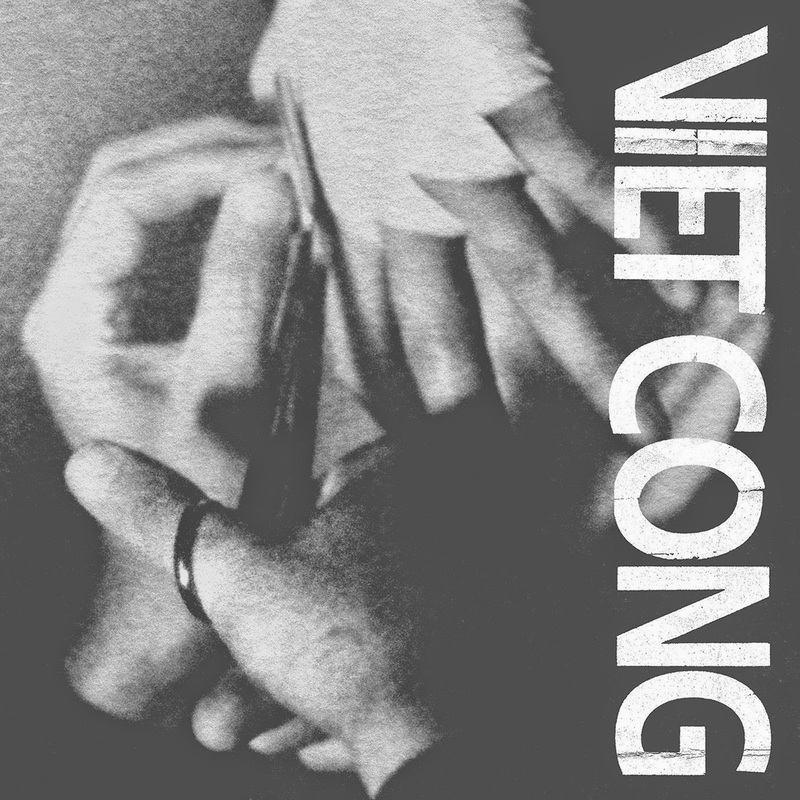 Recorded in a barn in Ontario and featuring seven diverse tracks, Viet Cong are purveyors of some fine melodies, Continent Shelf and Silhouettes being two of the best examples. The later is driven along with some vintage electro instrumentation whilst Continental Shelf has a harder edge and is reminiscent of Joy Division, with some prominent bass lines. There's a clear Factory influence running throughout the album, especially on these songs. Death, the closing track challenges the listener by running to a full eleven minutes. It doesn't outstay its welcome however and the simple, repetitive bass and guitar parts sound more uplifting than the title of the song suggests. The band are full of potential, their history as Woman is well-documented, but this is a new band with new ideas. With this album, they showcase a wide range of styles and it will be interesting to see how it is presented live. Viet Cong's official website can be found here. They are also on Facebook and Twitter.